Deciding to create a brick or stone wall accent is always a great idea. These improvements will revitalize your room and will make your store stand out from the rest. Most customers walk into stores not only because they like the product on display but also if the room is inviting. 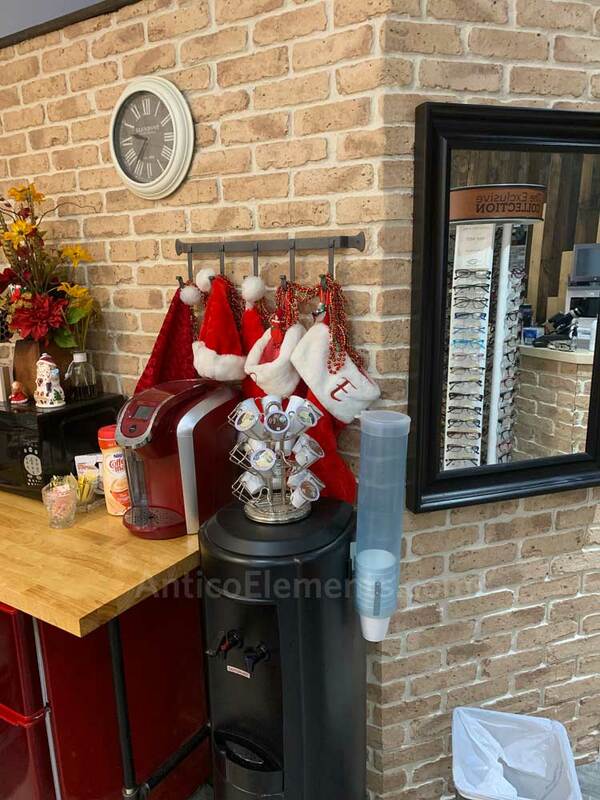 This is why so many retailers and display makers have moved toward faux brick accents. It is a very popular and appealing look. Now, when it comes to installing the product, you have a choice of going with the difficult or the easy solution. Both look realistic but one can take a long time and the other just a matter of hours to complete. Clean up a real mess. 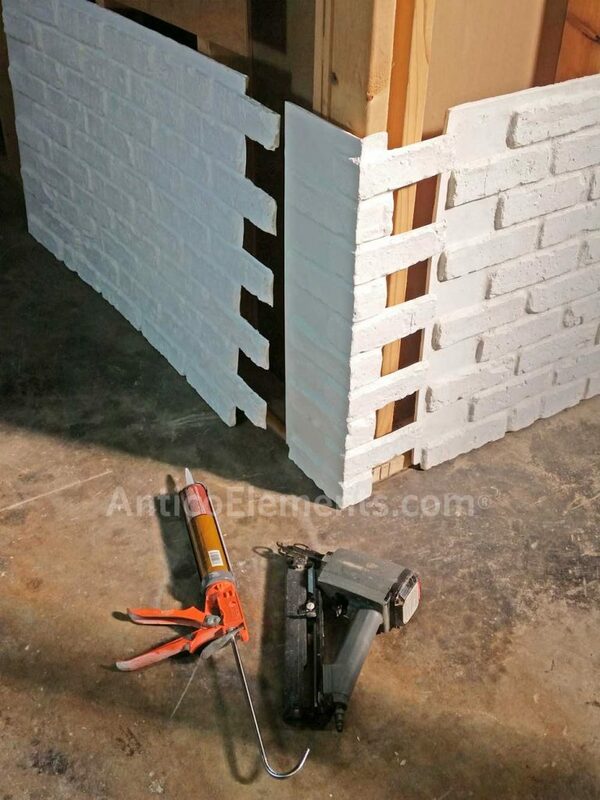 Let’s also not forget that the vast majority of store and home owners do not know how to use real brick nor they feel like learning such a laborious process. 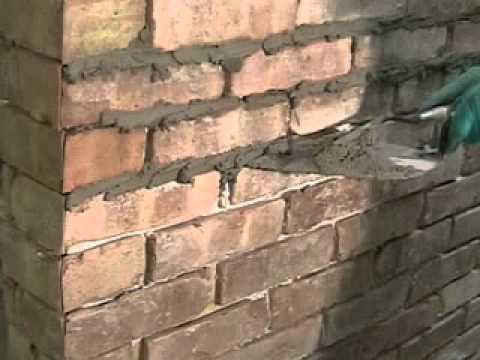 The cost for an average brick layer or mason is out of most people’s reach. Why would you do that anyway? 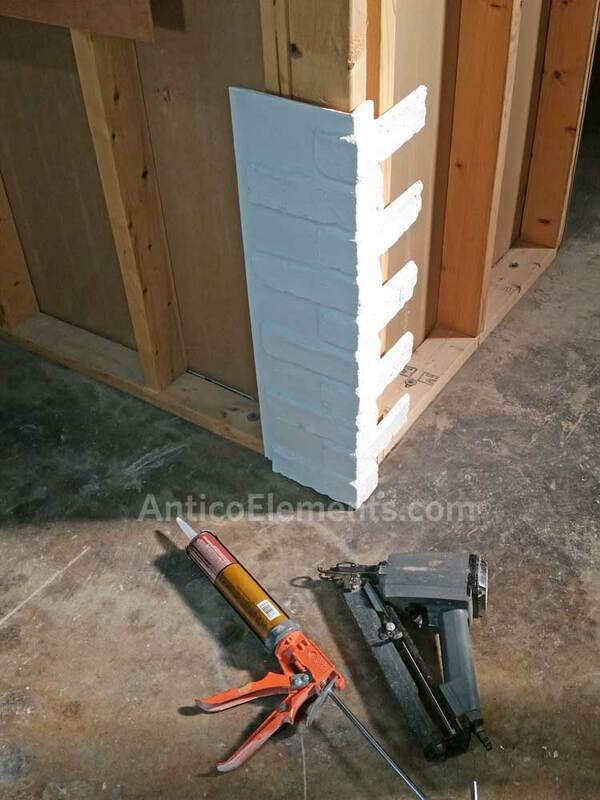 Have you looked into faux brick products? These products are installed like a jigsaw puzzle. Anyone can do it with just basic tools. You can also order very convenient accessories like interlocking corners and ledge trim. It is as easy as it looks. You just start from one side of the wall and keep adding panels and corners with adhesive tubes and nails or screws. We have very detailed instructions that can guide you step by step if you have any doubt or question. The end results will amaze you. Take a look. In case you have outlets, wall fixture and lighting you may also use the outlet trim. This accessory will allow you to move your existing fixtures forward, at the same level as the panels, and put your plates back on them. It’s as easy as it can be. How do you use those faux brick boxes for the switches? The outlet switch trim boxes are a very nice accessory. 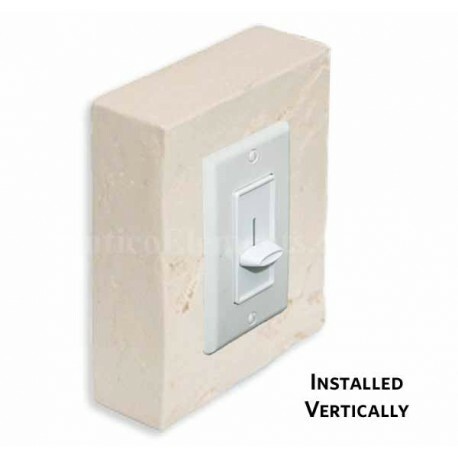 Without them you would have a hole in the faux brick sheet to reach the switch or receptacle. 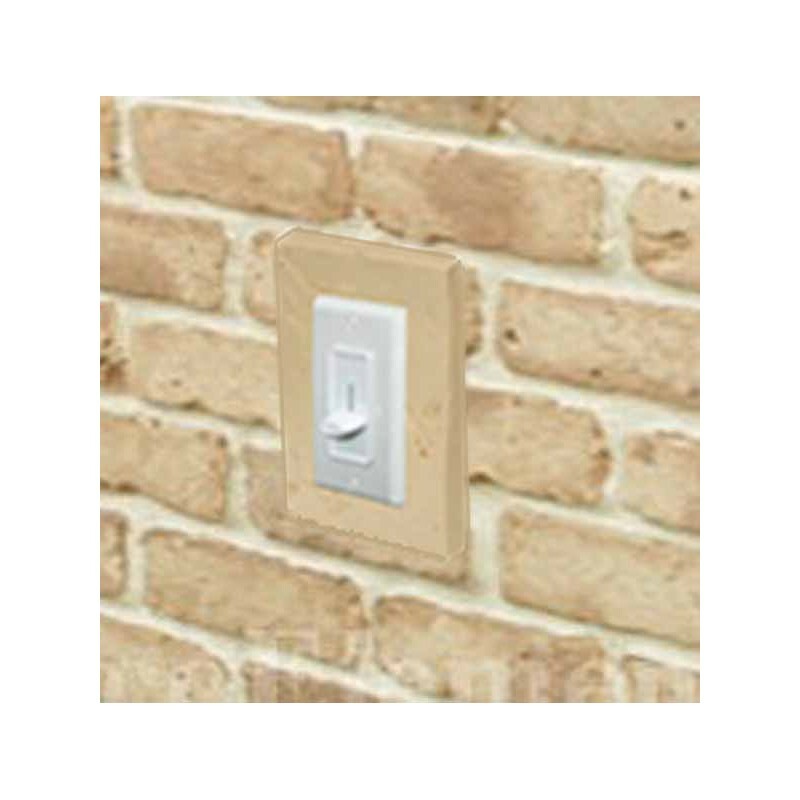 The trim allows you to bring the switches forward, at the level of the brick face. Below is the link for the instructions. Thank so much for your question! 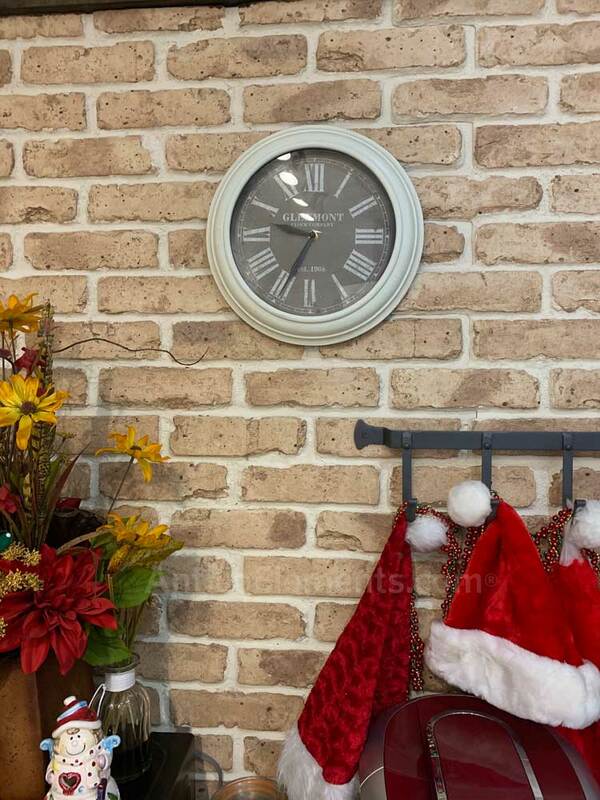 Can we use these faux brick panels on a flat surface with just screws? We’re in the process of designing a trade show booth’s backdrop and are in search of something easy and simple. Yes, you may. Ideally you want to put the screws were the studs/framing is. 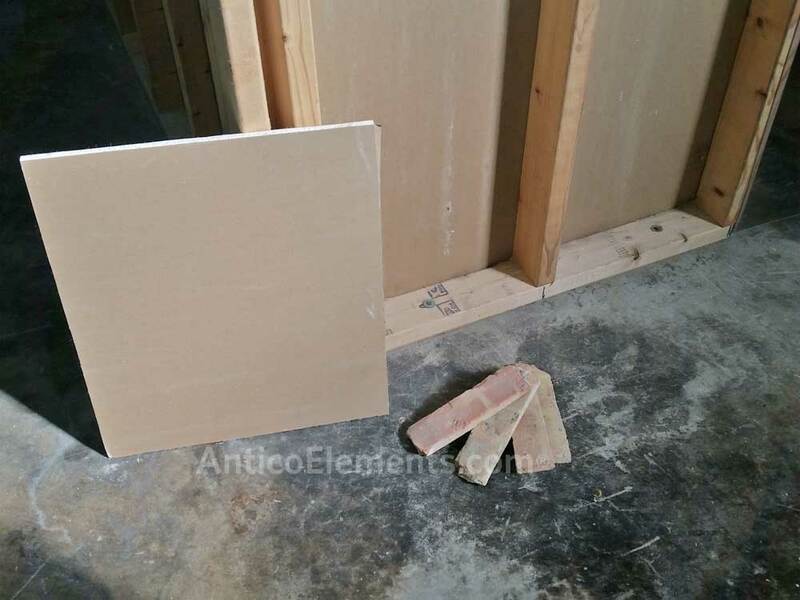 This way you will hold the panels more securely. After the show you can easily remove the screws, mark the position of the panels in the back of each one and reuse them in the next show. You may pain the screw heads with our convenient Touch-Up kits so that they are not visible. In the images I don’t see any joints between panels or panels and corners. Is this how it looks finished? Our panels are designed to interlock with each other in order to provide a seamless look. That being said, the light colors might show a small line between panels and corners. The darker colors almost never need attention. We recommend to use a bit of caulking over these joints. The caulking can then be couched up with out Paint Kits. Can I see this product in TX? What is the product on the beginning of this video? I has some light brown base and different tones on some stones? That image the image in the video represents the Laguna in the Cappuccino color. We are working on listing our product at some Texas’ retailers but for now you may order directly from our website, including the Samples. Please let us know if we can help with any other question.